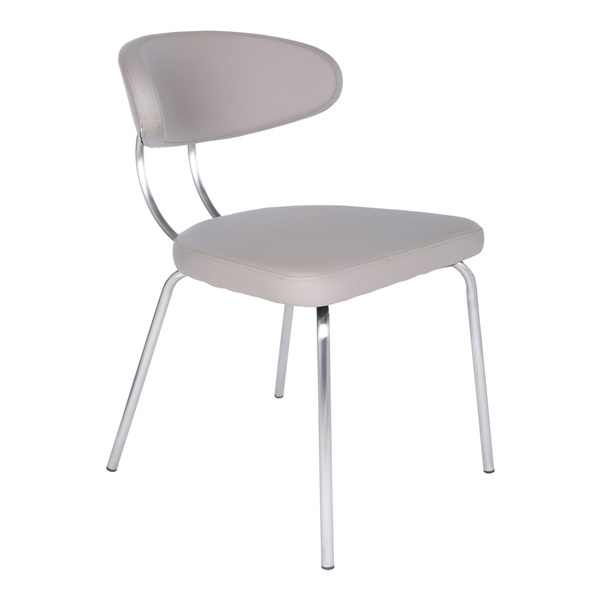 Select a side chair that will look and perform great just about anywhere � the Margot Side Chair. With the Margot Side Chair, you can enjoy a soft leatherette over foam seat and back that deliver unparalleled comfort and style. Plus, the side chair features brushed stainless steel legs for tremendous support, along with a brushed stainless steel frame that provides outstanding strength. Incorporate a first-rate side chair into a home or office setting thanks to the Margot Side Chair. Includes a leatherette over foam seat and back that are both soft and durable. Features a stainless steel frame that offers long-lasting quality. Boasts stainless steel legs that provide unparalleled strength. Provides a charming design that will complement the d�cor in any office or home.